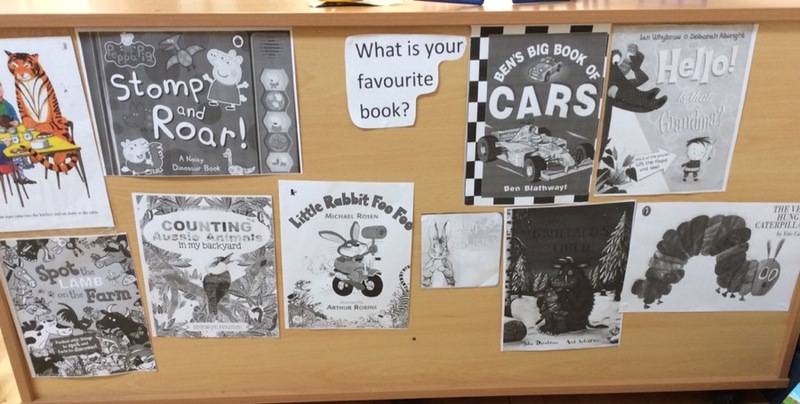 This week we are looking at our favourite books. It was great to see some of the children with their favourite books. We didn’t get time to read everyone’s book this morning but we will be throughout the week. 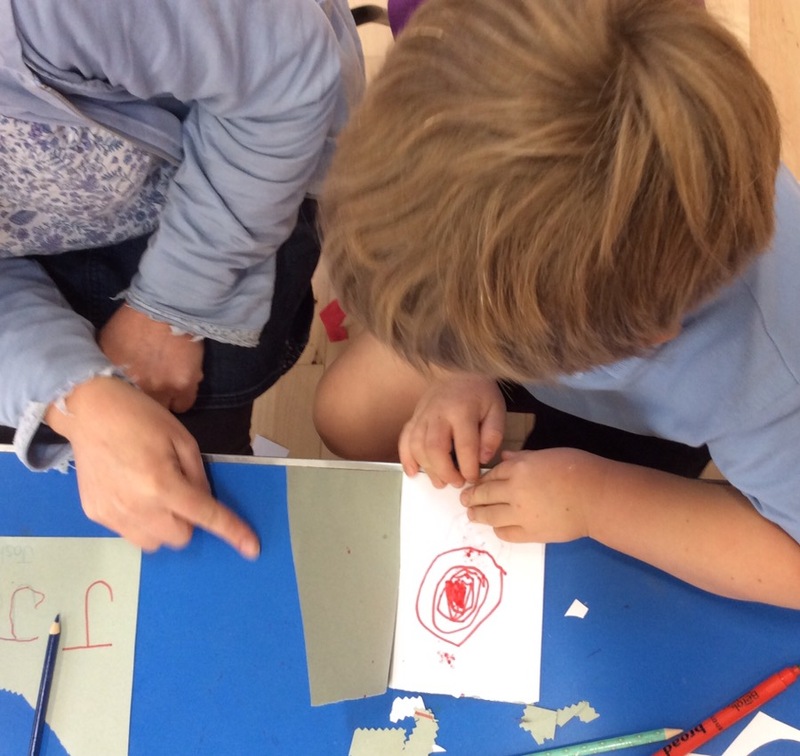 We’ve been making our own books to take home, creating our own stories using pictures, mark making and letters. 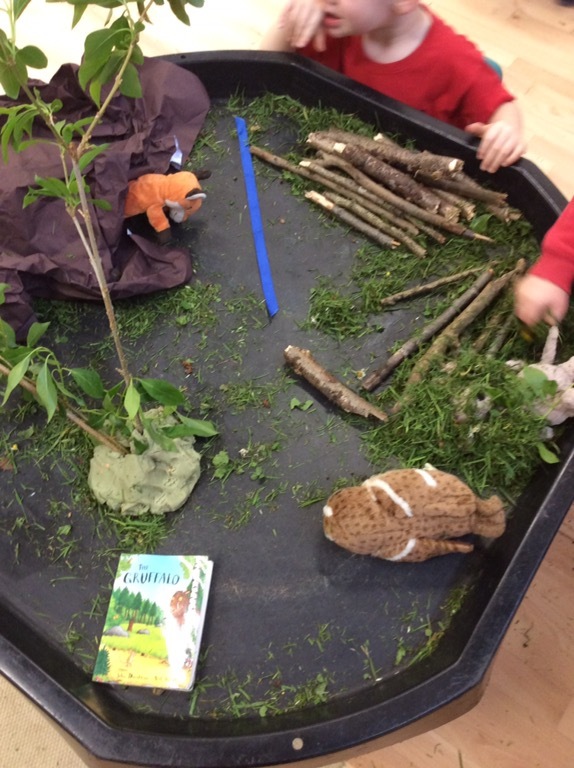 In our tuff tray we had the Gruffalo and his friends, fox, snake, owl and of course mouse! This activity really held the children’s attention. 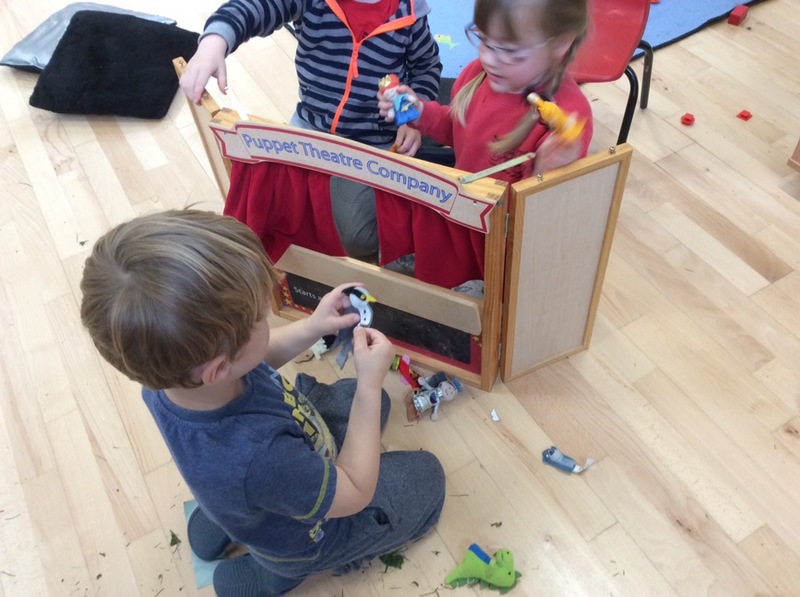 Some of the children got a chairs and sat playing in the tray for an extended period. Later the tray developed another use as a small world den and a fire. 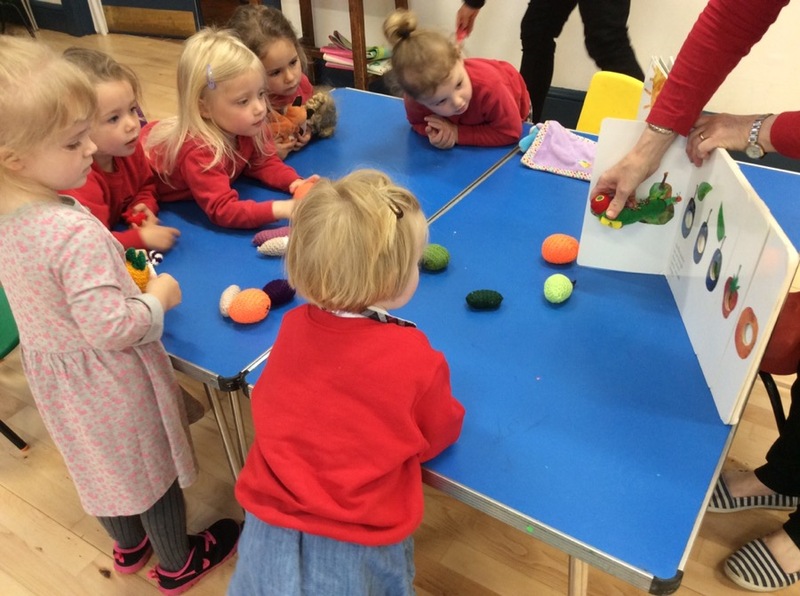 Jane read the Hungry Caterpillar using the book set which contains everything to make the story even more interesting and interactive. 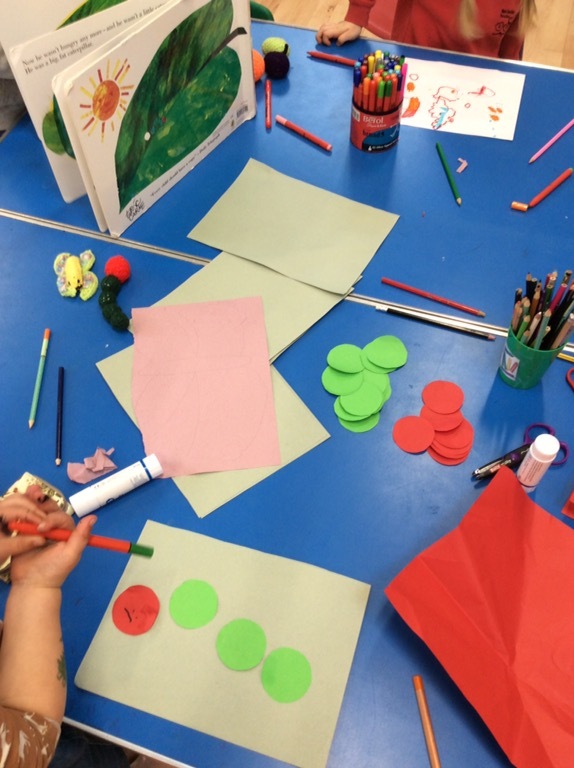 At the creative table some of the children wanted to continue on from reading The Hungry Caterpillar to make caterpillar pictures. Liz helped the children with some caterpillar shapes so they could create their own pictures. In the Home Corner we had Goldilocks and the Three Bears. 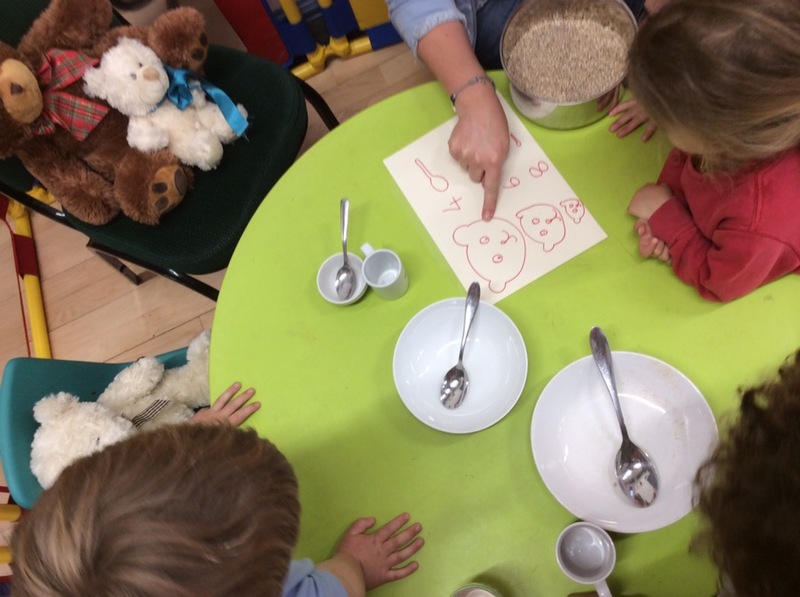 We were looking at numbers and measuring out spoonfuls of porridge for each bear. 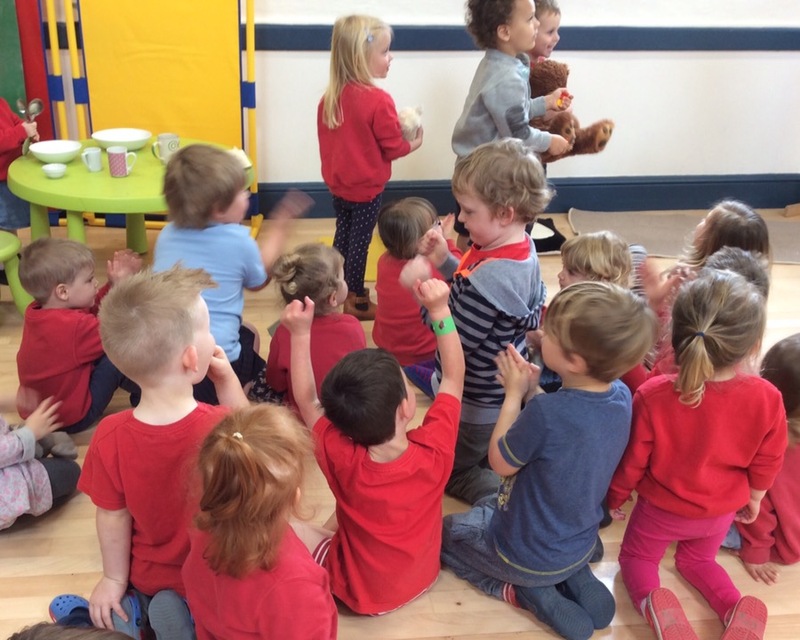 At the end of the session the children helped to act out the story which they all really enjoyed.